If there were any justice in the world, every great filmmaker would receive the recognition and plaudits they deserve. A master from the earliest days of cinema, Bauer is fascinating both contextually and formally. 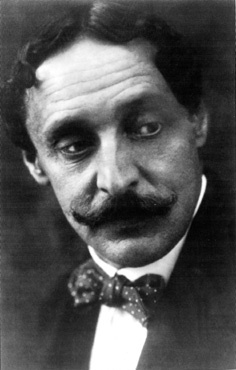 While so much of the better known cinema of Russia is a product of the socialist state, or in some way ideologically founded, the work of Bauer predates the Russian Revolution from which Communism found root. More than that, his work sometimes seems to predate the very techniques he makes use of. The tracking shot, the contextual close-up, deep focus, the flashback. All of these appear in Bauer’s films from 1913, before even the famous Caligari or infamous The Birth of a Nation one year later. That poetic title should be promotion enough, but better yet: it’s a promise fulfilled. This film examples Bauer as a precocious visual mastermind at his finest. Most impressive is his sense of depth. At a time where even moving the camera was something new, Bauer was experimenting with deep framing, often positioning scenes along a z-axis rather than the then-traditional x. One such scene has the film’s villain enter frame in the foreshot, his appearance a dark silhouette. The course of the scene follows as he delves toward his quarry, coming to the bright, gauzy light of the background. His own cowardice sends him creeping back into the dark. That this scene was crafted over a hundred years ago has no bearing on its quality. It would be brilliant in any age. One reason you might not have seen a film by Alan Clarke is that very few ever reached the big screen. 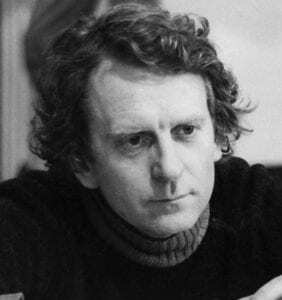 He cut his teeth on television projects in the 60s and 70s on the BBC and ITV, with even his best works remaining strictly televisual in most cases. This, however, is not to denigrate them. Toward the end of his career (which was sadly cut short by cancer), his work became daring and experimental. That the BBC would even put it on television says a lot about how things have changed for the worse on the small screen, despite claims of a new ‘golden age’. The last decade of his career became deeply political and formally bold, covering topics such as Thatcheristic apocalypse, skinhead racism, heroin use among children, and remorseless killings during the Troubles. Nothing too heavy. Elephant might be the most despondent programme ever aired on the BBC, Mrs. Browns’ Boys notwithstanding. Featuring no real dialogue, no narrative line, and no named characters, it is an astounding experiment in political film. Utilizing Steadicam (Alan Clarke’s clearest formal giveaway), Clarke’s camera follows various anonymous individuals as they walk through areas of Northern Ireland. Eventually one of these individuals will come across someone else, and violently dispatch them. This is repeated for forty minutes. There is no twist or development, only a series of violent deaths with seemingly no cause or contest. This was, of course, Clarke’s point. The elephant in the room, to reference the titular idiom. The film seems needlessly gratuitous and aggressively sadistic, but no more than the reality of the Troubles. An example of the desperate power of political cinema. Alan Clarke used certain elements of documentary filmmaking to create an observational, realistic tone in his films. Peter Watkins, however, went further. 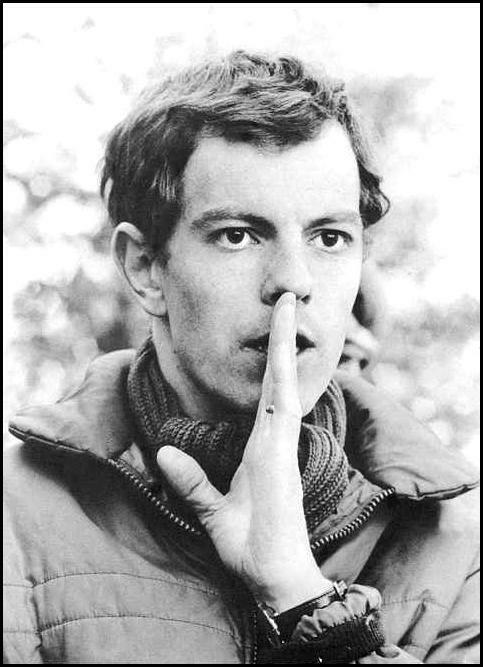 He was one of the innovators in the ‘docudrama’ form, in which techniques of documentary filmmaking were used in order to present fictionalised versions of reality, abstracted to various degrees. This effect was sometimes put to novel, almost comedic effect. The 1964 film Culloden covers the eponymous 18th century battle as though it were a contemporary event, with cameramen and news reporters on-sight as the armies clash. Most of Watkins’ output, however, is decidedly less amusing. One imagines England in the midst of a nuclear winter (this won him an Oscar), and another abstracts the ‘siege mentality’ of US police in the 1970s to a Hunger Games style deathmatch. And we wonder why the British are so miserable. This docudrama was made for Swedish television, though later edited into a three hour film for cinematic presentation. In Watkins’ typical style, it examined its appellative artist as though a contemporary documentary, including interviews and direct-to-camera addresses. But Watkins confuses fiction and reality in his process. When looking for people to represent the historical rejection of Munch’s work, Watkins hired Norweigan non-actors who genuinely disliked his paintings. The opinions they share are not scripted, but their own. Watkins’ combination of fiction and reality creates a strangely authoritative, and deeply compelling account of the artist’s life. Yamanaka’s inclusion on this list is a bit of a cheat. He’s something of a legend in his native Japan – no good bookshop will be without a few tomes on his career. And what a career it was. Between 1932 and 1938 he directed 26 films. By the time he directed his last, he was only 28 years old. That might hint to his untimely demise. On the same day his final film premiered he was conscripted into the Japanese army, and succumbed to illness later that year. And as though things couldn’t be worse – out of his 26 films, only three have survived, and even these best described as ‘nearly complete’. Though his reputation is burgeoning outside Japan, his status remains paltry against the talent he exhibited. His impassioned films – delving into issues of social injustice and shot with a master’s touch – deserve reappraisal by all with an interest in film. Humanity and Paper Balloons is regarded as Yamanaka’s masterpiece, and is part of that most popular Japanese genre – the period drama, or jidaigeki. While it purports to represent a distant past, Yamanaka’s approach is interesting in its anachronism. In truth, his setting implies the pervasive censorship in Japanese society of the time. By locating his social critiques in the past he could not only slip by the censors, but ratchet up his rhetoric incognito. Beyond his narrative concerns, Yamanaka also examples his formal nous. 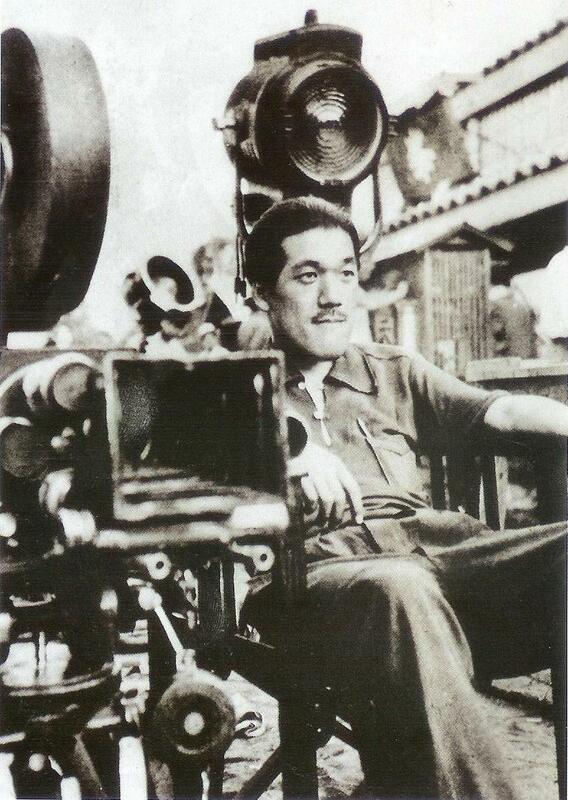 His films are far from the bombast of Kurosawa, and yet find a sublimity in movement contrary to Ozu. A middle-ground of sorts, matching Akira for entertainment and Yasujiro for social insight. His early death was a loss for cinema; his international rediscovery, an invaluable boon.